We highly value professionals in virtualization sphere and try to support them in their efforts. 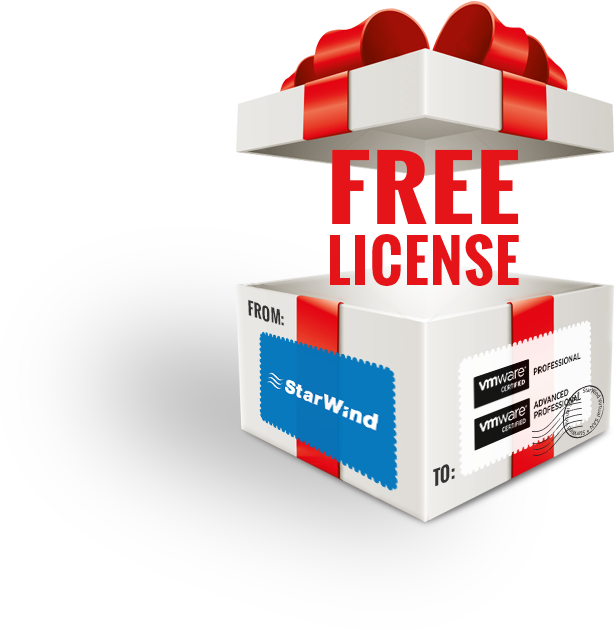 StarWind offers a special free license that contains all the features of StarWind Virtual SAN and is available to VMware Certified Professionals and VMware Certified Advanced Professionals. StarWind helps VCPs and VCAPs to cut down virtualization expenses by offering them a free StarWind VSAN Enterprise edition license. It is a full-fledged hyperconverged version with all features enabled: fault-tolerance and high availability, scale-up and scale-out, asynchronous replication, snapshots, etc. The license comes with a one-year timebomb (resubscription is required) and can be used for personal non-production, consulting and training purposes. License transfer to any third party, including the user’s company, is strictly prohibited.